Dr. Riza Kadilar is the president of European Mentoring and Coaching Council. He is a PhD in Economics. After a BSc degree at METU in Industrial Engineering, he has obtained his MSc degree at Stanford University, and completed his MBA at HEC, Paris and an executive management course at INSEAD. 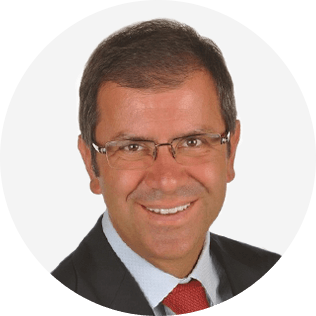 His professional career includes senior level bank management experience in France, UK, Netherlands and Turkey. During his 25 years of banking career he delivered numerous motivational speeches in more than 30 countries, and been a visiting professor at leading universities. He is also chairman of China Institute Turkey, scientific committee member at Institut du Bosphore (Paris), and board member at Hisar Education Foundation (Istanbul), and the author of five published books on various topics including China, carbon markets, mentoring, coaching and facilitation. The rapidly changing business environment and upcoming disruptive technologies require the leaders of business world to become more agile. Mentoring systems supported by executive coaching practices are an efficient way to sustain a corporate culture resilient enough to sustain a desired work environment. In this session we will be talking about the current disruptive technologies, and how coaching and mentoring help us getting prepared for the future of work.